Don’t tell anyone, but the sun is out in Seattle, and although this may be a given for most, in Seattle, it’s a luxury. To celebrate a birthday we must partake in a little tradition I like to call drinking. Get your martini shaker, this is about to get classy. 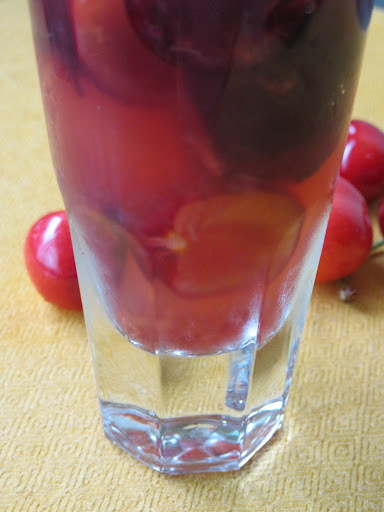 1) In a martini shaker, muddle two tablespoons cherries with whiskey. Add two ice cubes and shake. 2) Pour strained liquid over remaining two ice cubes, top with 1.5 shots champagne. To garnish, slice a cherry in half on the bottom and slide onto rim on glass. Looking for another option that doesn’t sparkle, but does bite you in the you know what? 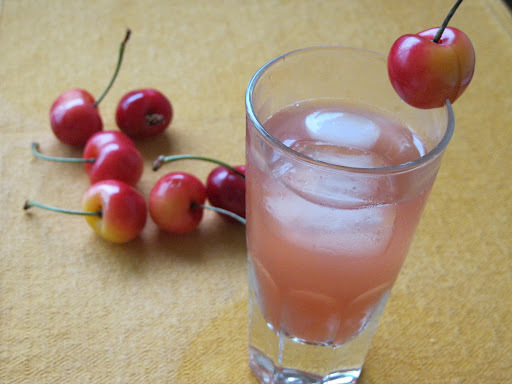 Try a Washington Cherry. 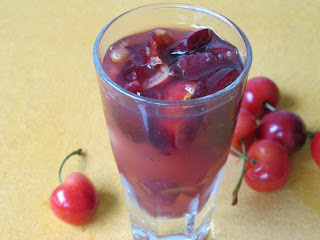 1) In a martini shaker, muddle cherries with whiskey. Add two ice cubes and shake. 2) In a small glass, add two ice cubes, pour whiskey mixture over ice and serve. ← Three Restaurants I Love.